So much to report, teach me to take a vacation! Ancestry.com has a new database: Social security applications and claims index, and DNAgedcom has a new tool to report your ancestry DNA total cMs, and I missed mentioning the Ancestry DNA sale at $79 instead of the usual $99 because it ends tonight. Hopefully there will be another one soon. I tried looking for my uncle in the index and it found him quickly. It listed his birthplace and parents names, useful information. 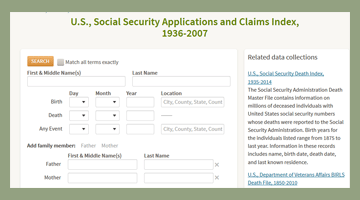 To learn more about the U.S. Social Security Applications and Claims Index read this post from Randy Seaver: http://www.geneamusings.com/2015/07/new-ancestrycom-database-us-social.html – I recommend following his blog for news about databases added to familysearch and ancestry plus many good genealogy articles. 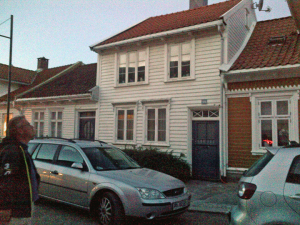 I hope to review the DNAgedcom ancestry client soon. It requires a subscription which seems fair as increased usage is bound to be costing them money and it is hard for these free sites to exist on donations alone. 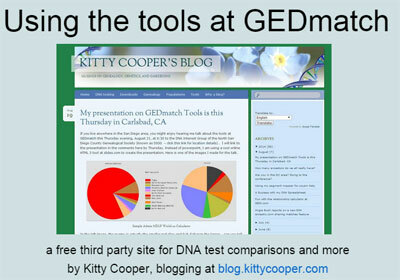 I like this trend whereby you can subscribe to a site like DNAgedcom or GEDmatch and get extra functionality but there is still plenty of good stuff available for free. Disclaimer: I am an affiliate of Ancestry.com and profit slightly when you click my links, see my footer here for all my affiliations. To celebrate DNA day on April 25, Ancestry.com is having a five day sale starting today. I have advised many of you to wait for this $79 price and now it is here! Go get some tests. To learn more about the DNA test at ancestry see this blog post of mine. Also I advise that you also upload your ancestry results to either or both of family tree DNA and GEDmatch to find more matches and have a chromosome browser. Most of my matches at ancestry don’t see why they should upload their data to GEDmatch. I send them the URL of my slide presentation and extol the delights of the fun ancestry composition (admix) tools but it is hard to explain why I like to see where my DNA matches someone else’s. Curiosity? It’s fun? I love making these spreadsheets? Possibly it is because I am very interested in how DNA inheritance works and love to see which grandparent gave me which piece of DNA (n.b. it takes a lot of work to get to that point). When I know the common ancestor for a specific segment sometimes a new match fits in immediately to a family line. The best example of that is finding my previously unknown 3rd cousin Katy. When I saw where she overlapped I emailed her that it looked like she was related on my WOLD line to which she responded that her grandmother was a Wold. She has since sent me many wonderful family pictures that I had not seen before. Today I got an email from someone who had tested at ancestry and uploaded to GEDmatch. She wanted to know how to use my tools with her GEDmatch data. However my tools require a CSV file of overlapping segment data which cannot be downloaded in one fell swoop from GEDmatch, unlike at 23andme or Family Tree DNA. Personally I built my many CSV files (one per person tested) slowly, as I compared each individual’s DNA results, contacted that match, and then cut and pasted the overlap information into my spreadsheets. Jim Bartlett did a great guest blog here on the process of building these DNA spreadsheets. But I can understand the desire to see a quick picture of your matching DNA. GEDmatch does have a chromosome browser where you can see the overlaps, although the presentation is somewhat different from other sites. A little known secret is that you can massage that function’s table output into a spreadsheet (see end of this post for the technique).